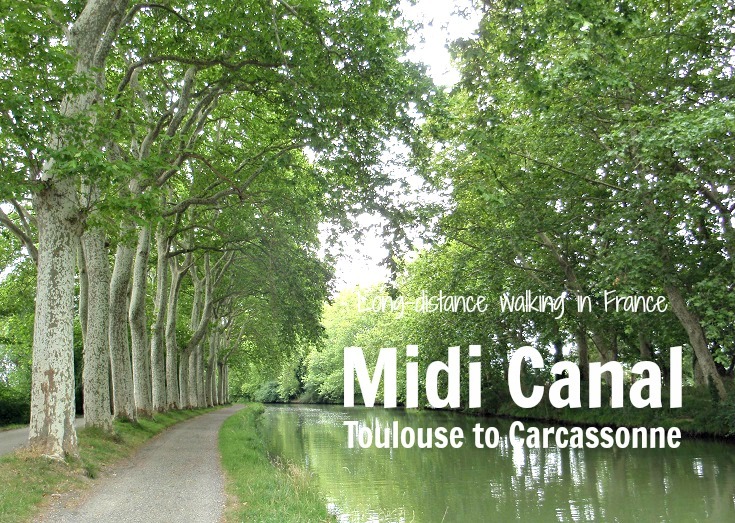 A long-distance walk along the Midi Canal begins in Toulouse, the fourth largest city in France, and winds its way south-east through a number of French country villages, towns and cities, reaching Carcassonne and its beautifully preserved medieval city some hundred kilometres (60 odd miles) later. Along the way, the canal is a constant, peaceful and serene feature. Boat traffic moving through the locks provides an interesting distraction and every now and then, the canal passes over the top of the freeway or another river and reminds you what an engineering masterpiece it is. At other times, when there is no-one else in sight, it is easy to let your mind drift back three hundred years, and imagine horses plodding along the same towpath, pulling their barges behind them. The towns you may choose to stay in for the night are pleasant. In most cases, the church is the architectural highlight, but these will usually be locked during the week, so there is little point in detouring off the canal except to sleep or if you need supplies. There are surprisingly few cafés located on the canal, but those that do exist offer beautiful locations to relax and watch the passing boat traffic. 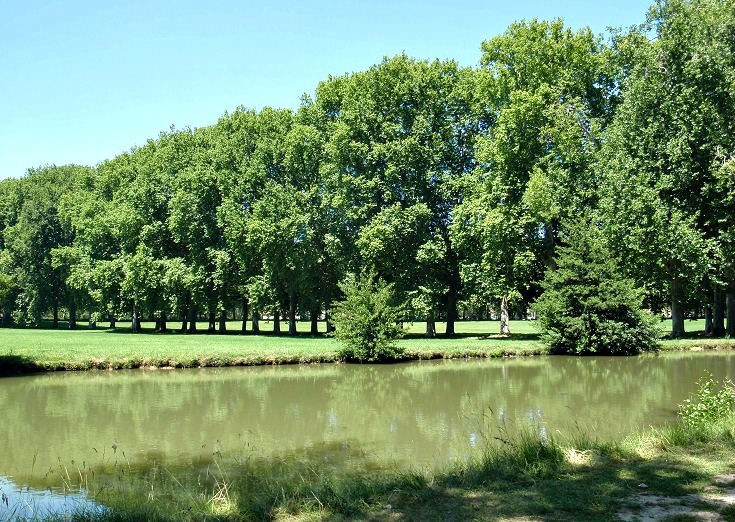 Today, the sixty-five kilometre (forty-mile) stretch from Toulouse to Castelnaudary offers an easy three-day walk. At this point of your walk, you may like to stop and catch the train back to Toulouse or on to Carcassonne. Alternatively, you can rent a boat in Castelnaudary and sail the remaining 180 kilometres (112 miles) to the Mediterranean Sea. 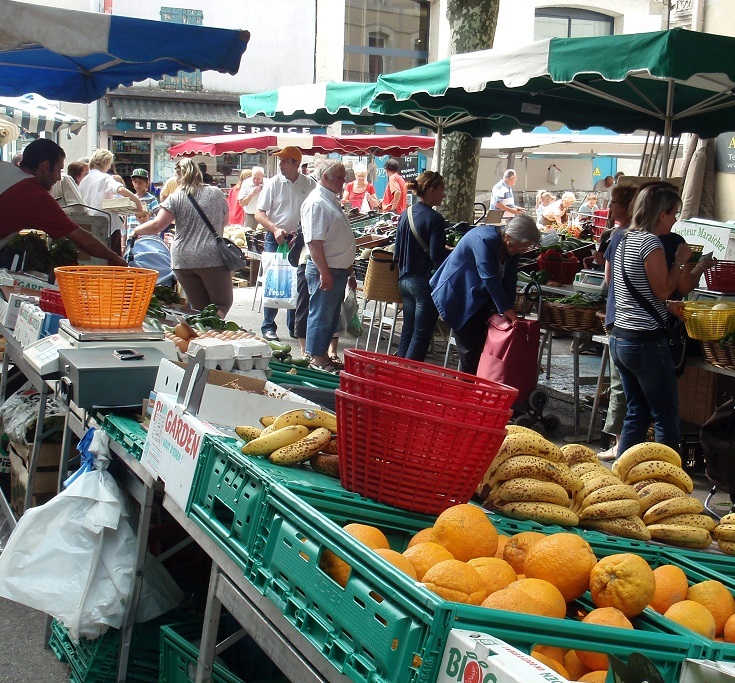 If you continue on foot, a comfortable, two-day walk will take you into Carcassonne. The path from Toulouse to Avignonet-Lauragais is bitumen, and so flat you could almost drag your suitcase along behind you. After Avignonet-Lauragais, the path changes to dirt (with patches of gravel and the odd tree root) but is still an exceptionally easy walk. 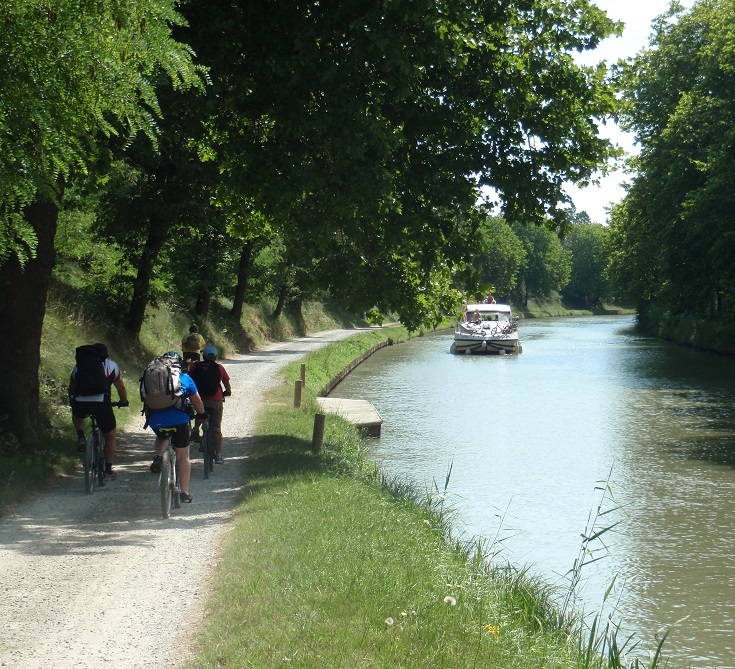 The other advantage that the canal offers is that it is virtually impossible to get lost—at least, not until you venture off the path in search of your accommodation for the night (which is exactly why the guidebook provides directions to and from the canal for each town)! 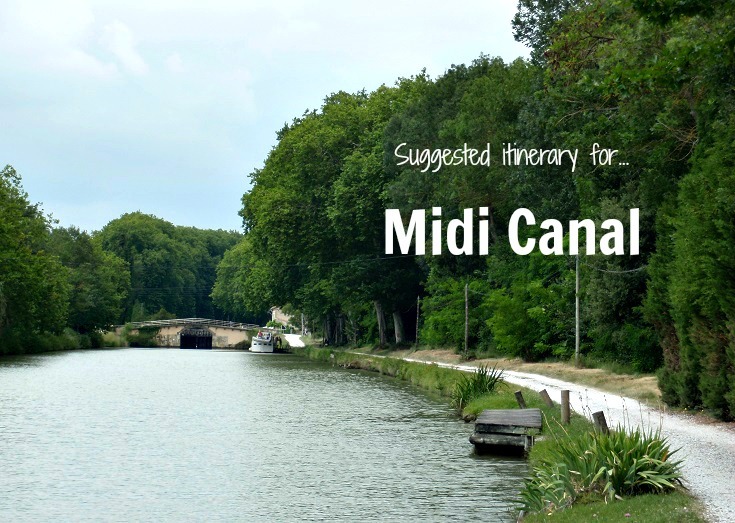 Designated a UNESCO World Heritage Site in 1996, the Canal du Midi is an engineering masterpiece stretching 240 kilometres (150 miles) from Toulouse to Sète on the Mediterranean coast. 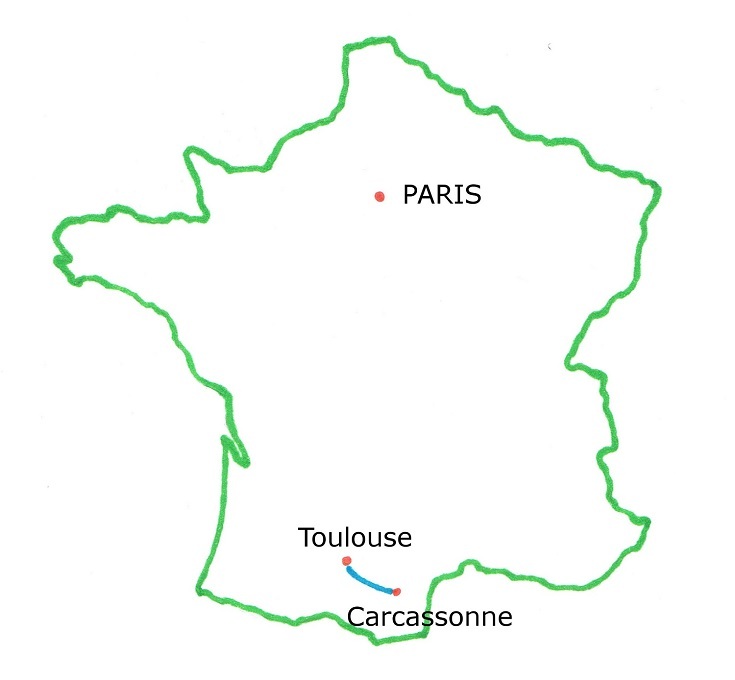 By extending the reach of the Garonne River (already navigable from the Atlantic Ocean to Toulouse), the canal allowed transportation from one side of France to the other. The economic and political benefits to France were enormous, as it was no longer necessary to sail the 3,000 kilometres (1,875 miles) around the south of Spain and through the strait of Gibraltar—a route controlled by Spain and prone to pirate attacks. 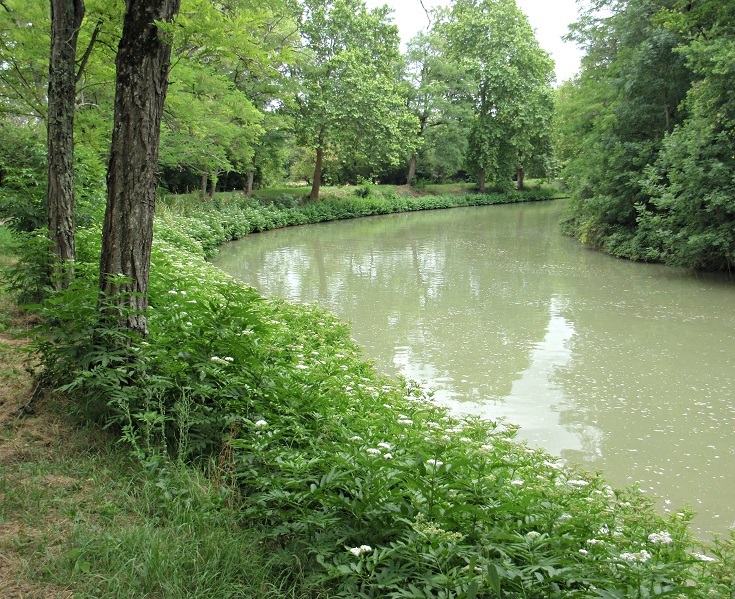 Although a canal across France had been discussed for hundreds of years, the stumbling block had always been finding the means to supply it with water and to traverse the highest point near Écluse de l’Océan. The solution was found by Pierre-Paul Riquet, who designed a system to collect water from the Montagne Noire (Black Mountain), channel it into an artificial reservoir (the Saint Ferréol Bassin) and feed it thirty-four kilometres (twenty-one miles) downstream to what is now the Déversoir de Naurouze. From here, the water feeds into the canal in either direction as required to keep the water levels at the proper height. 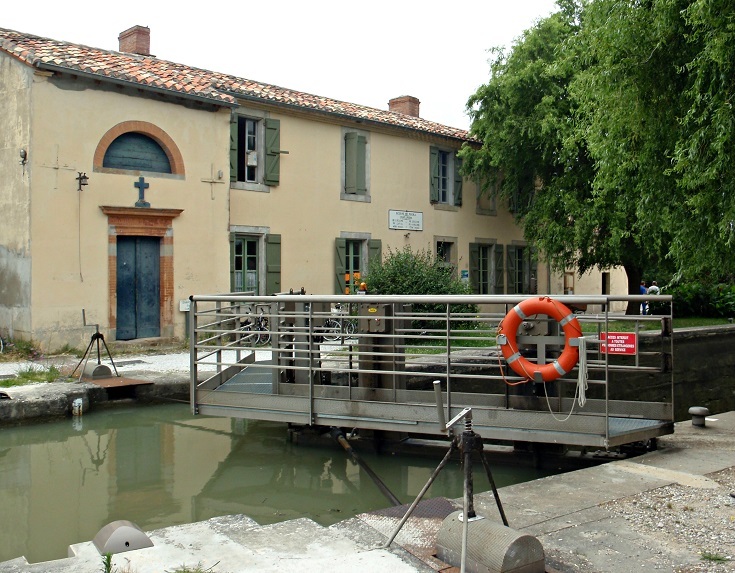 Water can also be pumped from the canal back into the déversoir, should it threaten to overflow the canal. Construction of the Saint Ferréol Bassin and the first stage of the canal from Toulouse to Trèbes began in 1667. In all, there are sixty-four locks from end to end. Forty-nine locks are required to facilitate the change in altitude from Déversoir de Naurouze (190 metres) to the Mediterranean Ocean. Twelve thousand men and women were involved in the project, which was completed fourteen years later. Unfortunately, Pierre-Paul Riquet died eight months before the canal was inaugurated on 24 May 1681 and never saw the entire canal in use (although sections were opened to traffic as construction was completed). Prior to the invention of motor boats, horses (and sometimes men) towed the barges along the canal—hence the presence of a tow path for you to walk or cycle along today. In the past, the journey from Toulouse to Sète took four days, with fixed stops for lunch and overnight stays, as there were no sleeping quarters for passengers on the vessels. In those days, you would have stopped for lunch on the first day at Écluse de Negra and reached Castelnaudary by nightfall. 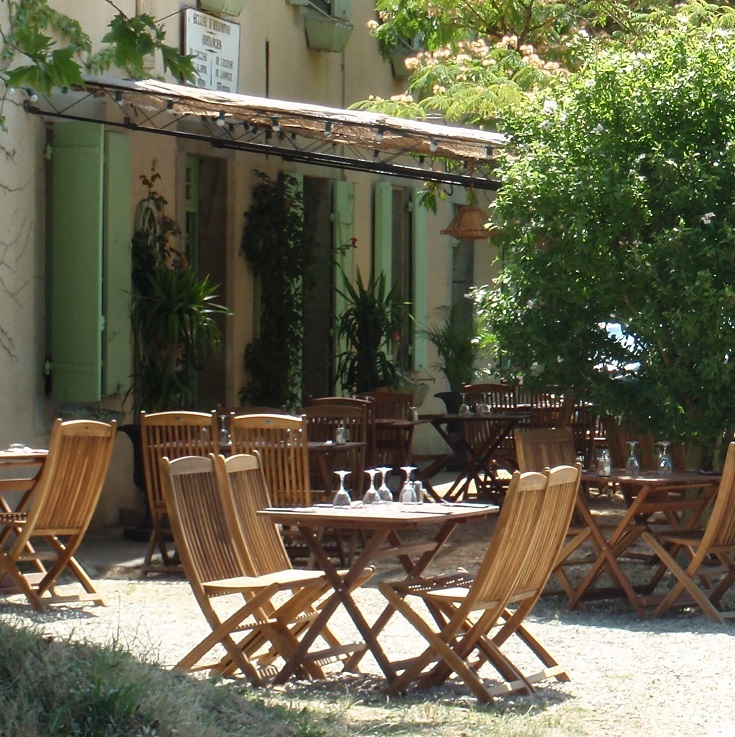 The following day you would have eaten at Écluse de Béteille before continuing on to Trèbes, thirteen kilometres (eight miles) past Carcassonne, to stop for the night. 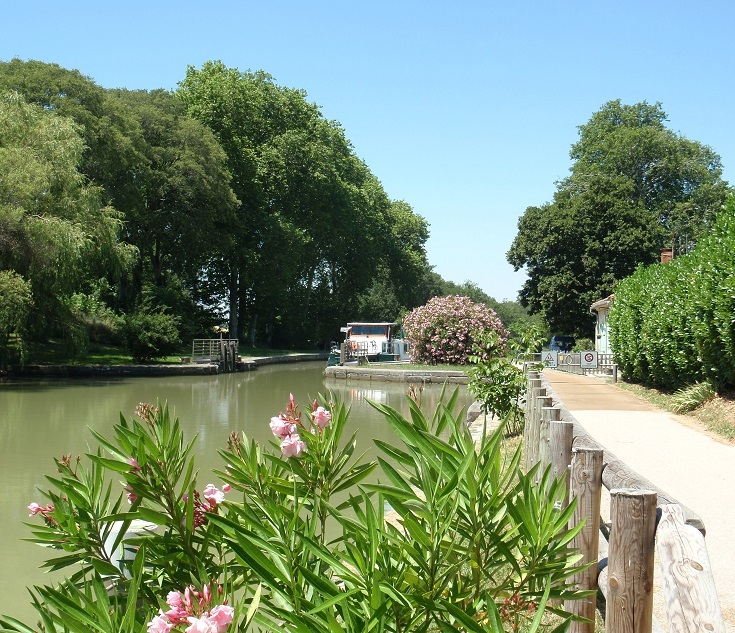 Commercial trade has long since ceased, but the enduring beauty and serenity of the Midi Canal ensures it will remain one of the more popular holiday journeys in France. So, what will you see and do along the way? 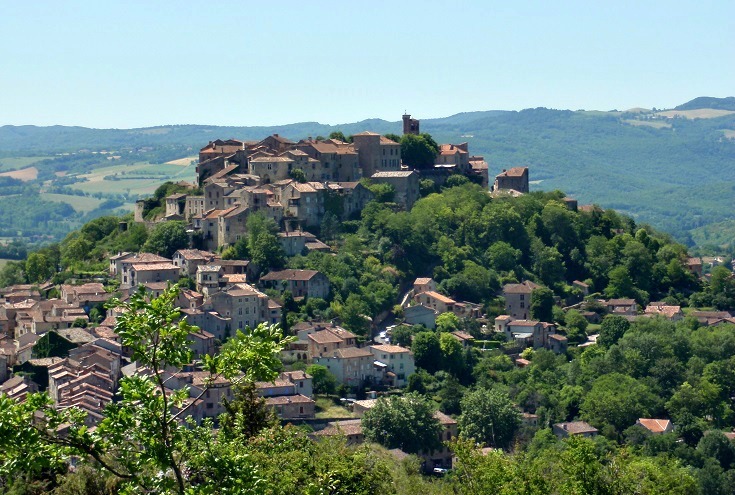 Four of France’s ‘most beautiful villages’—Bruniquel, Castelnau-de-Montmiral, Lautrec and Puycelsi—are nearby, as is Lourdes, Albi and the picturesque village of Cordes-sur-Ciel. 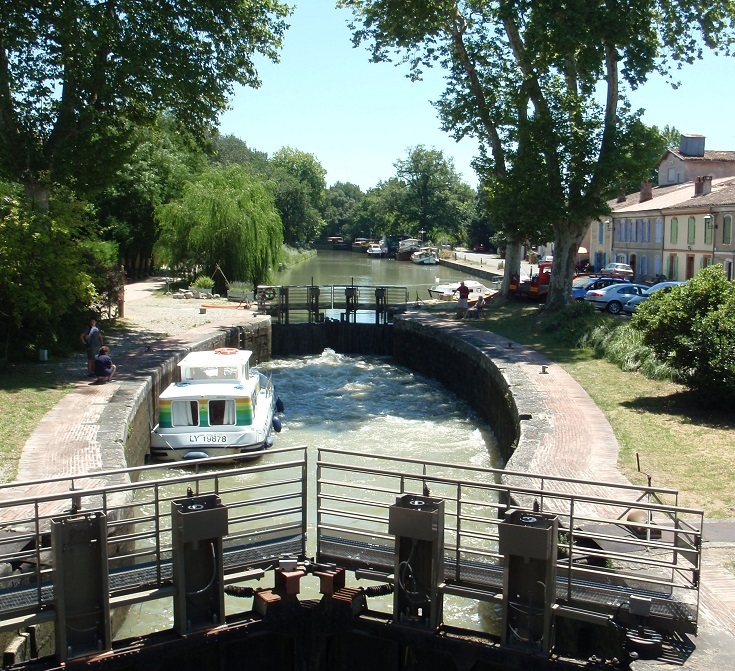 After three days of walking you’ll arrive in Castelnaudary, one of the few towns right on the Midi Canal. Take advantage of the convenient location and spend the night here, stocking up on bandaids, trail mix and other supplies. If you arrive early in the afternoon, take a taxi to visit the beautifully restored ruins of Abbaye de Villelongue. 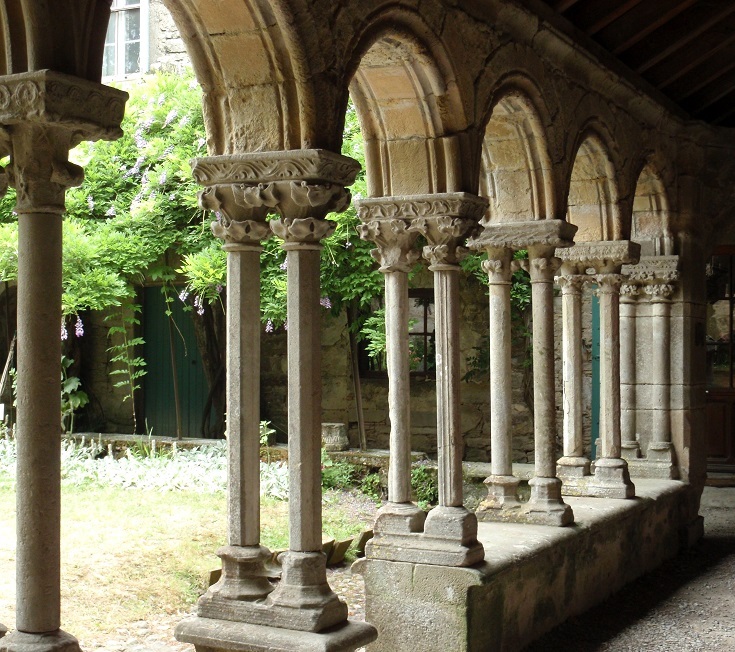 Founded in 1180 by Cistercian monks, the remains of the church and cloister offer a glimpse into religious life in the Middle Ages. 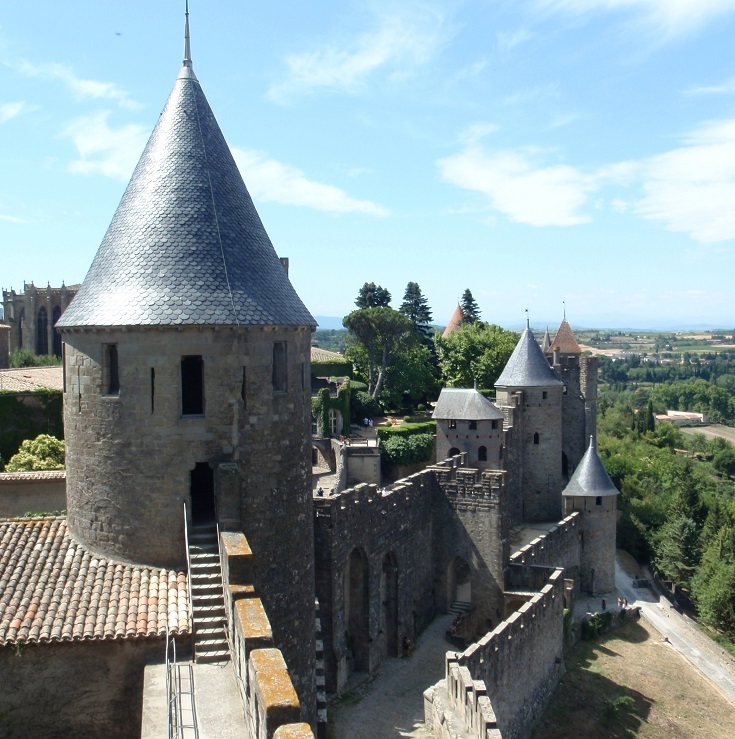 Almost every organised coach tour that rushes around France makes a stop at Carcassonne. There’s no denying that the medieval city overlooking the town is both beautiful and fascinating. Rural France is filled with authentic ancient chapels and medieval villages where people live and modern life continues in an historic setting. But Carcassonne had none of that romantic charm. For me, Carcassonne was a confusing blend of new (nineteenth and twentieth century) restorations, rearranged from old stones—some true to the fourth century origins of the fortified château but most not. If you’ve walked this far from Toulouse, you’d be crazy not to venture up the hill and look for yourself. Let me know what you think! 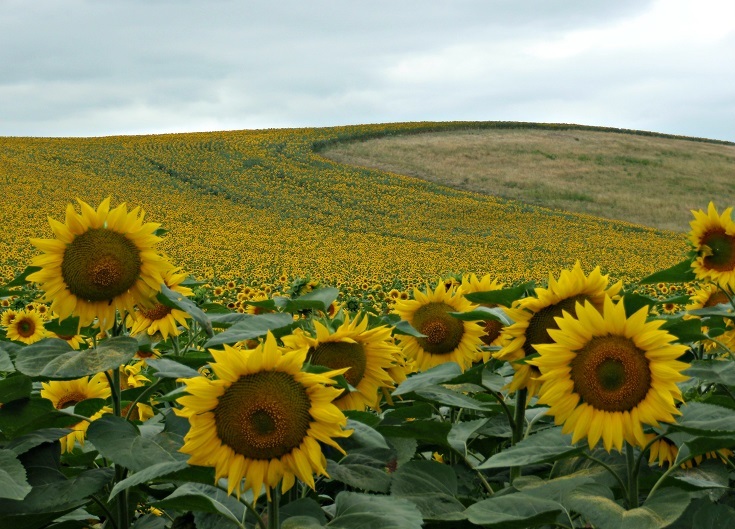 Fields of sunflowers lining the canal are a definite highlight of the Midi Canal and so I would do this walk in summertime when they are at their best. The weather is not unbearably hot at this time of year and the canal is mostly well shaded and not a difficult walk. 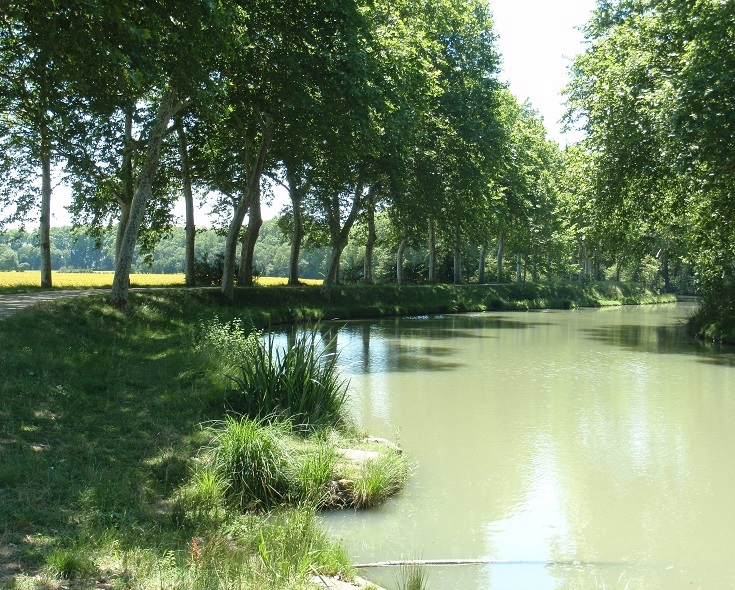 The entire stretch between Toulouse and Carcassonne can be covered comfortably in five days, or a section of it could be a good way to ease your muscles into a more difficult or strenuous walk. You are never too far from somewhere to sleep while walking along the Midi Canal. Although there are few towns offering accommodation located on the canal, there are plenty of options if you are willing to detour a kilometre or two from the towpath. 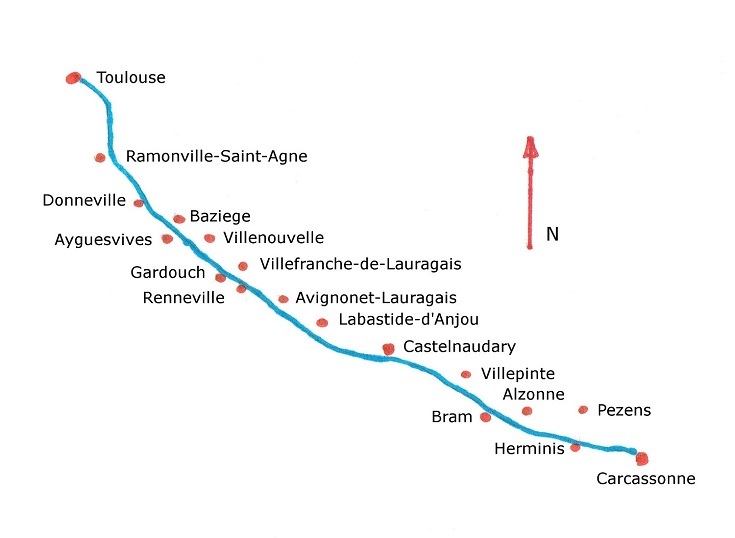 The longest section, from Castelnaudary to Villepinte, requires a walk of 12.4 kilometres (7.8 miles) and a further ten-minute walk from the canal into town. Since the canal is flat and the walking is easy, my suggested itinerary recommends walking between twenty and twenty-three kilometres (12 – 15 miles) over five days but this could easily be increased if your time is more limited. 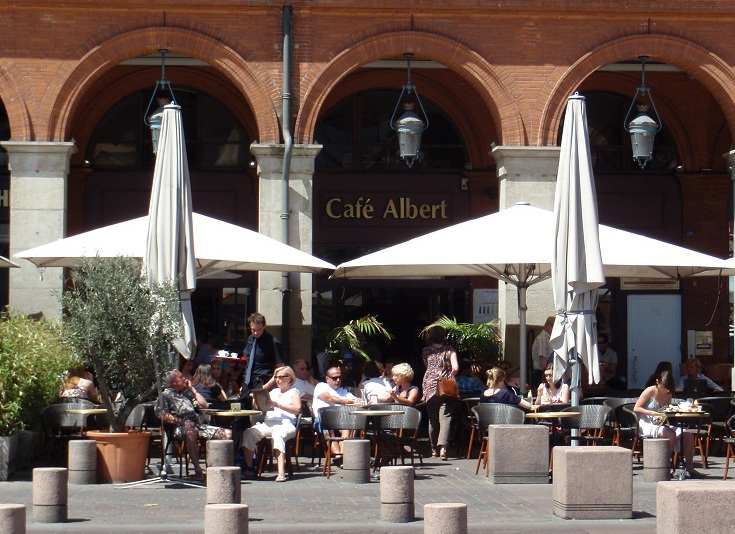 Accommodation is available in the following towns, with distances given from the starting point of Toulouse. 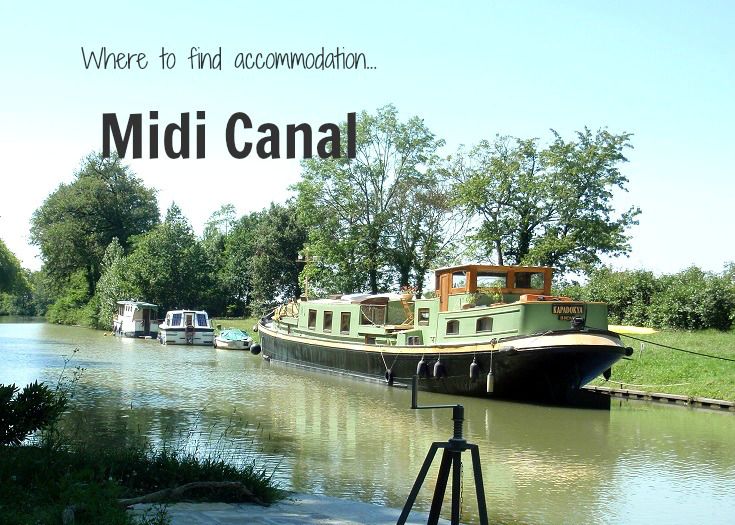 Where is the Midi Canal in France? 80 pages packed with dozens of photos, taxi phone numbers, links to accommodation websites and train and bus schedules, Tourist Offices, market days, where to find a pharmacy or an ATM, useful French phrases—and many more practical tips! Hi, my daughter and I are walking from Bordeaux to Toulouse in June, do you have any tips that may help us please? On the trail – carry as much water as you can manage and enough trail mix to see you through lunch for a few days if necessary. Dried fruits and nuts are easy to carry and keep well.